When it comes to experimenting with different ways of paying for your arcade game, Japan certainly leads the way when it comes to introducing new ways of doing so. 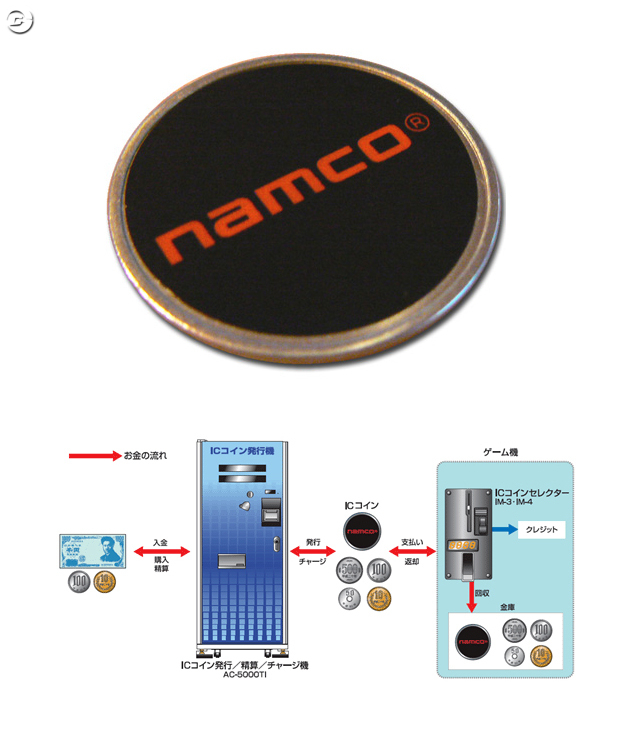 The latest payment system called Namucoin is a proprietary system that Namco is trying out, which uses chip embedded coins to keep track of credits, much like card-based systems as far as I can tell. The system will be rolled out in Namco-owned arcades in Japan, we will have to wait and see if they do the same in other Namco-owned entertainment facilities in other territories down the road. This entry was posted on June 29, 2009 at 11:46 pm and is filed under Arcade Games. You can subscribe via RSS 2.0 feed to this post's comments.